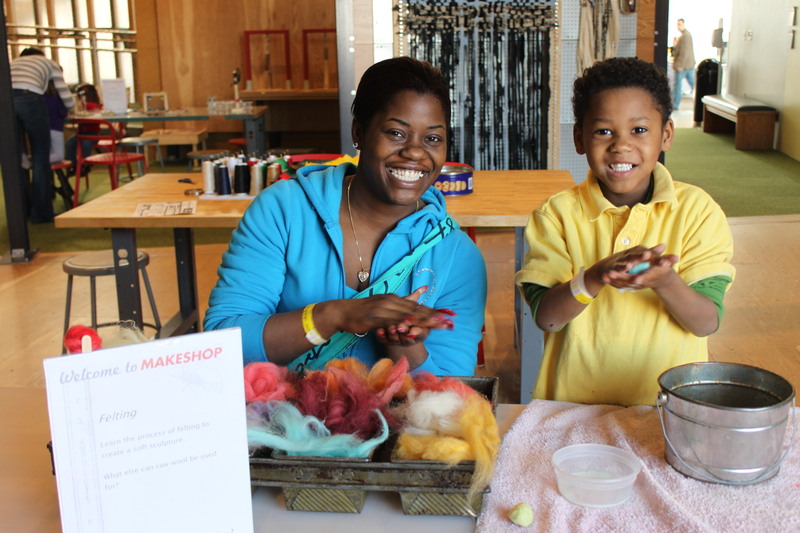 Visit the Children’s Museum web calendar for current on programs for families in MAKESHOP. Also, consider joining one of our MAKESHOP-specific mailing lists to get updates on 21+ events and/or 10+ events. We also have an educator mailing list for professional development opportunities. 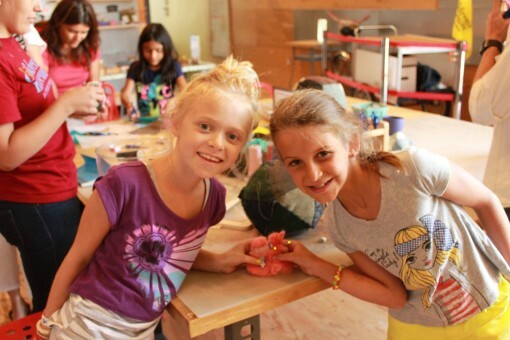 In addition to our open, all-ages spaces, we offer special programs for many ages. Check below for information on programs that may interest you and your family and consider joining our 10+ mailing list for events for older youth. Every day we have a variety of drop-in activities for all ages. Try something new, or practice and learn alongside our talented maker educator team to improve and grow! We also occasionally offer workshops for older children and youth, typically focused on a process, a skill set or a specific project. Workshops provide older children opportunities to delve deeply into projects that might require more time and a certain level of skill and safety consideration. The ages they target varies depending on the workshop’s duration, complexity and the tools and materials used. Unless noted, youth workshops are open to beginners. Come try something new! We believe in experiences that allow for individual creativity, expression and experimentation — you won’t find a step-by-step birdhouse kit around here. Past offerings include conductive felting (pictured), laser cut stamp design, wooden automata, soft circuitry, sewing machine skill building, and 3D modeling. Check the Web Calendar for upcoming activities and workshops. 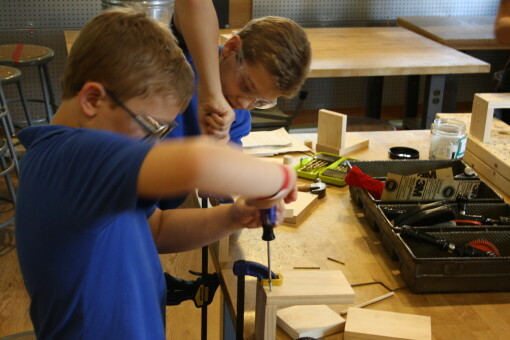 Tinker and explore in MAKESHOP while focusing on concepts such as electronics, circuitry, sewing and woodworking. 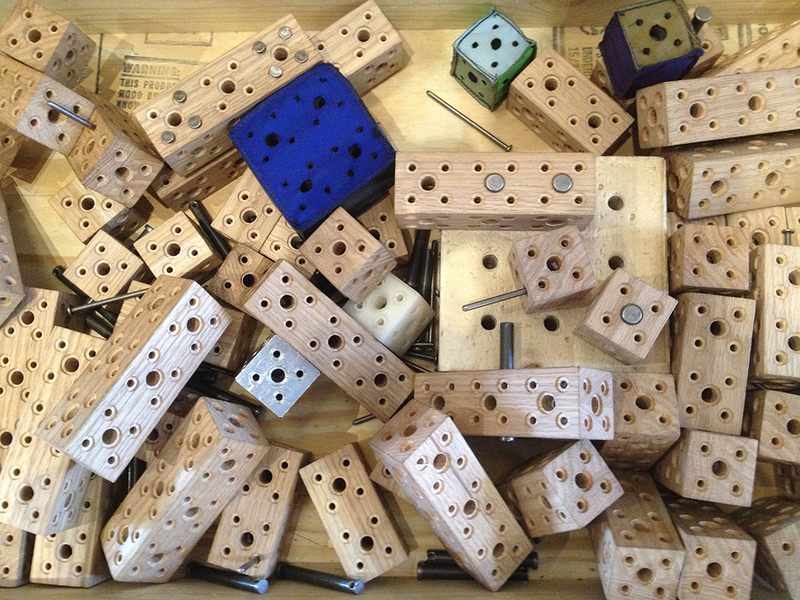 Children will work with our MAKESHOP staff to play and design using real materials, tools and processes. 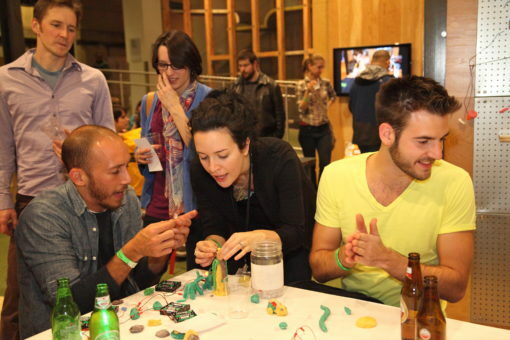 Participants will be encouraged to be curious, creative, experimental and innovative. 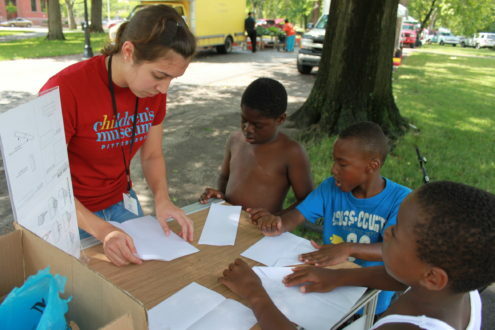 For more information, please check out the museum’s Summer Camps page! MAKESHOP is a proud participant of Maker Corps, a summer internship and work program to support communities through maker activities. Interns join the museum for ten weeks during the summer, part- or full-time, supporting programs both in and outside of the museum’s walls. With several other Pittsburgh sites joining us in supporting Maker Corps Members over the past few years, interns are supported internally by our maker team, locally by the Pittsburgh cohort of sites, and nationally by the Maker Education Initiative. From summer camps to teacher professional development, working with every day visitors to representing the museum at community events, Maker Corps is a great way to get deeply involved in maker learning and education. Interns must be over 18, have work authorization, and be able to obtain all the necessary clearances. Other than that, anything goes! We’ve had programmers, painters, teachers-in-training, PhD candidates, international relations majors and everything in between. Children’s Museum of Pittsburgh welcomes applicants of all races, backgrounds, nationalities, religions, gender expressions, etc: if you’re a maker and a learner, we want to hear from you! Check out the Maker Corps website for info about how to apply! MAKEnights are once-a-quarter after hours events where adults (21 and up) take over MAKESHOP for a few hours. No kids, no chaos, just food, drinks, making and fun! Every event is different and features cool new projects and techniques to try, along with old favorites. Past activities have included: scrunchie sewing for 90’s night, shot glass etching, crayon molding, cheese making and light painting. Join our 21+ Event mailing list or check the Web Calendar for info on upcoming dates! See upcoming dates on the sidebar to the right. Check out our information and opportunities for educators! Classroom teachers, librarians, community educators, and others are all welcome!